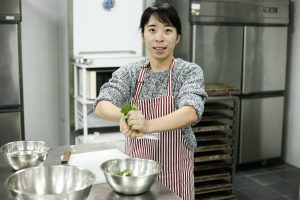 Shanghai Young Bakers > Blog > What is the spirit of SYB? What is the spirit of SYB? 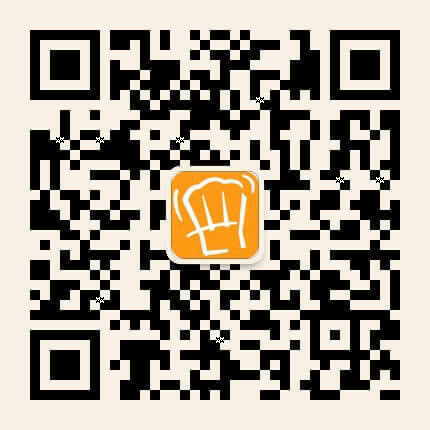 Already three weeks passed in the year of 2019, we’ll soon send off the year of the dog and welcome the year of the pig. It is precisely the time for everyone to get together, look back on the past year, and look forward to the time of the next year. 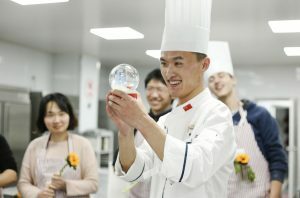 Shanghai Young Bakers’ team is no exception. 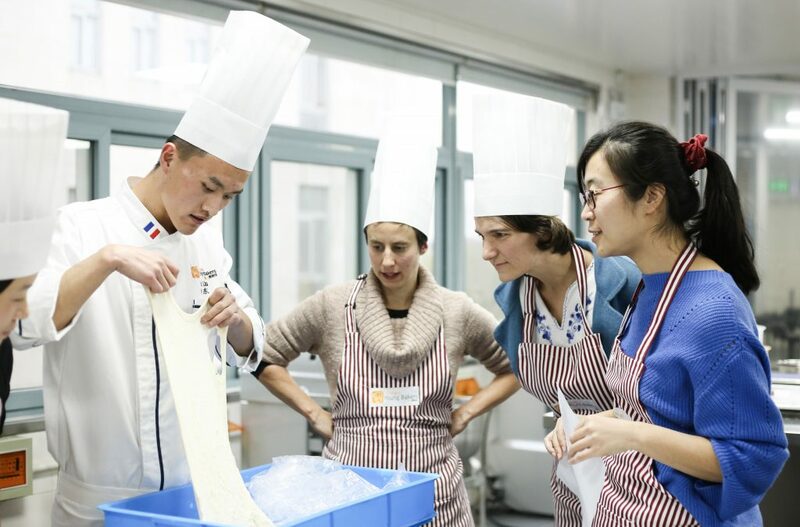 On the afternoon of Monday, Jan. 7, all members of the SYB team gathered at our baking centre to celebrate Christmas, New Year and the Epiphany, all three at the same time! Taking this opportunity, we’d like to talk to you about the spirit of SYB, the believes and values that made us who we are. As the expert of organizing bakery teambuilding activities, SYB team organized one for ourselves for our own annual celebration. 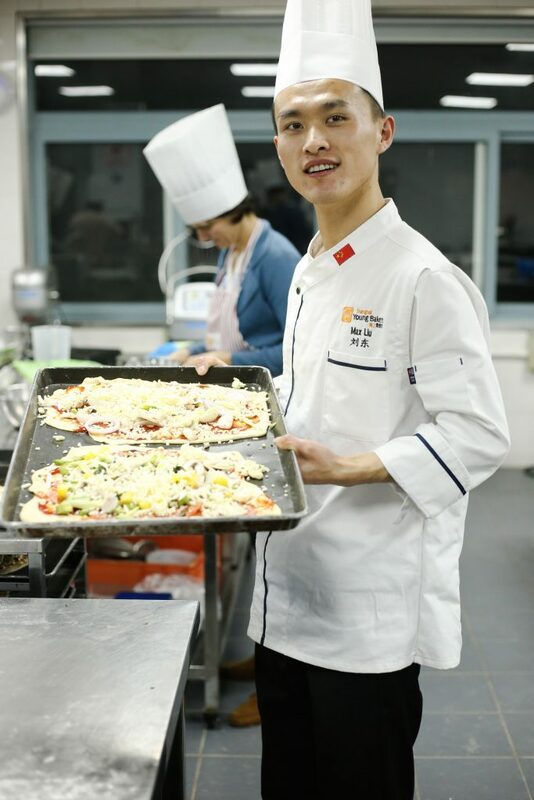 Under the guidance of our bakery trainer Liu Dong, we all had a common goal: to make pizza for our 31 students! 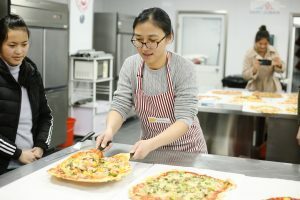 Not separated by different tasks anymore, we paired up in teams of two and started preparing the ingredients and making the dough we need for the pizzas. 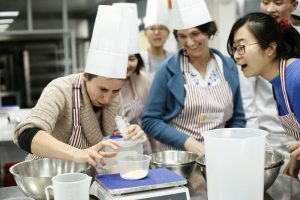 Some of the steps may seem simple, but it really doesn’t seem so easy when you’re actually doing it, and that’s when you need the help and encouragement of the team members, “No worries, take your time “the baking centre was full of laughter. Making more than 30 pizzas in a matter of two or three hours is a daunting task for all of us. We wouldn’t be able to do it without the strength of the entire team. The week before we had the activity, we had planned what we needed to make pizza, who would be responsible for what, and so on. 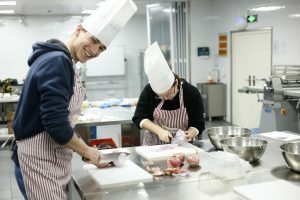 Some team members volunteered to bring their own “secret pizza ingredients.” While some tasks are difficult (such as chopping onions), everyone finished their part without complaining. Accountability is built not only on individual’s belief in themselves but also on the mutual trust among team members and the belief that others would also take responsibility seriously. While waiting for the pizza to be baked, we also prepared some special activities. Our Executive Director, Cecile, prepared flowers for each member of the team and thanked everyone for their contributions to SYB. She not only recognized the efforts and achievements of everyone at work, but she also saw the unique shine in everyone. After receiving recognition and encouragement, everyone felt warm in their hearts. Next up was the much-anticipated “Secret Santa”, where everyone prepared a gift in advance and placed them at the table. By drawing lots, each team member took turns to walk to the table and pick out the present they want. Everyone was nervous and excited when the wrapping paper is unwrapped. Want to know what kind of surprises do we received? Although the gifts may not be expensive, they contained the sincere wishes from our fellow team members. 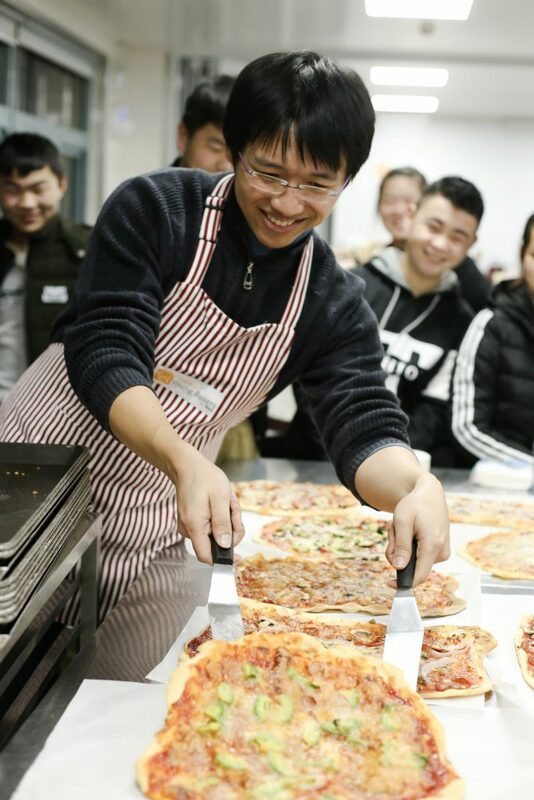 The students arrived at the baking centre soon, ready for the pizzas fresh out of the oven. The teachers who have been supporting our Young Bakers behind the scenes were not on the front stage, preparing the pizzas for our students. Looking at our delicious pizza, do you feel hungry now? Everyone was filled with accomplishment when we saw the work they have worked hard to accomplish together. For us, the realization of self-worth came not only from the delicious pizzas we made ourselves, from the recognition and encouragement of our colleagues but also from the 31 smiling faces. “Which pizza did you make, teacher? “You see, I told you, teacher, you must have done the best.” For more than half a year, the 11th batch of SYB students continued to grow and flourish, the young shy faces began to shine with self-confidence. 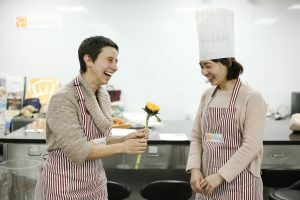 With our students, all members of our team also realized the power and impact our work has: empowering others and help them lead an independent life. Your ticket for the: What is the spirit of SYB?